Comments: High winds can really riddle the large bananalike foliage, so try and give some protection from direct winds. As with most leafy tropicals frequent applications of fertilizer are beneficial. 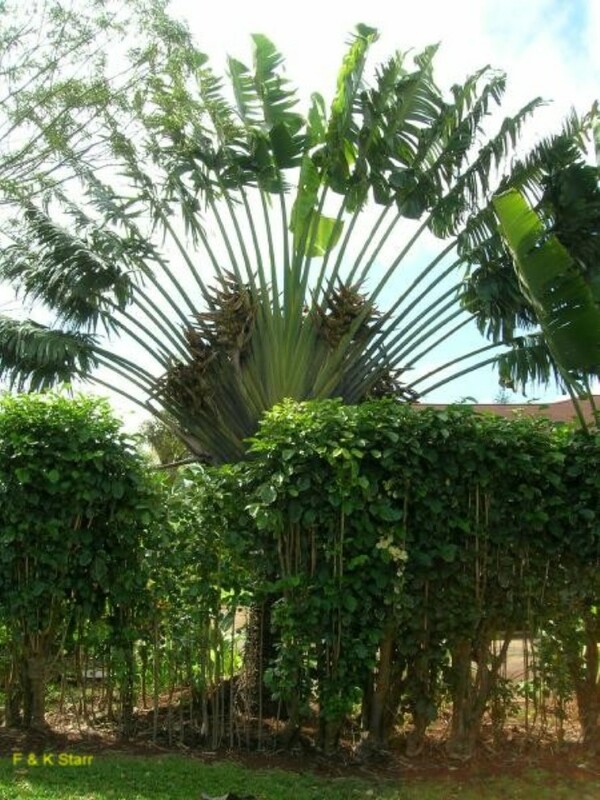 Although called a palm, this is not a palm. Each specimen is a huge symmetrical fan-shaped crown that radiates out from a stout, palm-like trunk. Cannot tolerate freezing temperatures.